"The data presented today confirm our suspicion that Kenyan drug prices are not only equal to, but actually higher than European prices," said Kirsten Myhr of Health Action International, who presented a pricing study at the conference. * "The figures show that the entire region is suffering from reverse equity - the poor are paying more than the rich." Among the many examples cited in the new study is that of the potent antibiotic, ciprofloxacin, which was found to be twice as expensive in Uganda as in Norway. Similarly, an earlier study comparing retail prices of drugs showed the same disturbing pattern-ten out of 13 commonly used drugs are more expensive in Tanzania than in Canada. The huge disparity in average income between the two countries also means that a Tanzanian would have to work 215 days to buy these 13 drugs, while a Canadian would only have to work 8. Another telling example is fluconazole, a treatment for AIDS-related meningitis. In Thailand, where generic competition has lowered prices, fluconazole costs only USD $0.30. However, this same drug costs USD$ 18.00 in Kenya, where it is patent protected. 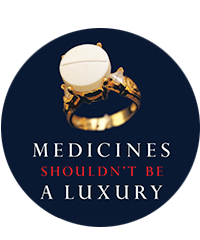 Dr Christopher Ouma, AIDS project coordinator for Médecins Sans Frontières (MSF) in Kenya said: "I am tired of not being able to treat patients because the medicines are too expensive. Africans should not be dying because of inability to pay when effective medicines can be available at affordable prices. This is already the case in countries such as Thailand, India, and Brazil." The causes of high prices of medicines in East Africa include strong patent protection, high tariffs, taxes and a lack of generic competition. The issues of high taxes and tariffs and the stimulation of generic competition need to be addressed directly by national governments. Much of the discussion amongst conference delegates focused on strategies to enact legal safeguards to remedy abuses by drug companies. Within existing international trade rules, such safeguards include parallel importing (the right to shop around for the best prices of branded products) and compulsory licensing (granting limited production rights to generic producers). "Within existing international trade regulations, Kenyans have the power to ensure that medicines are affordable and accessible" said Professor Carlos Correa, an intellectual property expert. "But, these essential legal safeguards have still not been built into the Kenyan Industrial Property Bill." This bill is designed to bring Kenya into compliance with WTO rules and will be considered by parliament in the coming weeks. Dr Amukowa Anangwe, Kenyan Minister for Medical Services, underlined the need to balance public health needs with private profit: "It is essential to ensure that the right to issue compulsory licenses and to allow parallel importing are included in our national legislation" he said. Another report presented at the meeting 'Patent protection and medicines in Kenya and Uganda'* calls on governments to ensure these safeguards and to include the Ministry of Health and health professionals when negotiating and adopting trade agreements.